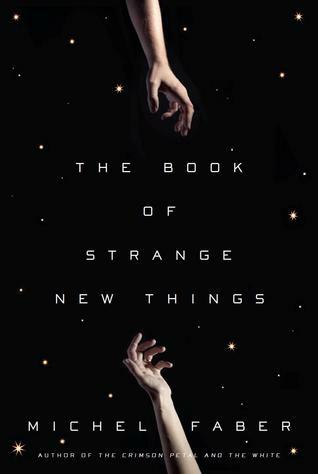 Irtiqa: Two Book Recommendations: "Equilateral" and "The Book of Strange New Things"
Two Book Recommendations: "Equilateral" and "The Book of Strange New Things"
I read Equilateral a couple of years ago, and really liked it. I was reminded of it when I saw an interview of the author, Ken Kalfus, on the excellent website, Islam and Science Fiction. The book is set in the late 19th century - in Egypt - which is indirectly under the British rule. Around that time (in 1890s), there was an active debate about the possibility of not just life on Mars, but a whole civilization. This idea was popularized by American astronomer Percival Lowell, who believed he was observing and mapping canals on Mars. He believed that Mars was an older planet than the Earth (an idea popular at the time), and hence if there is a civilization on Mars, it must be more advanced than the humans here on Earth. But why build these huge canals? He believed that Mars was running out of water, and these Martians were bringing water from the Martian polar ice caps to the equatorial regions in an amazing feat of engineering. Alas - all this turned out to be false and we now know that Mars is a desert planet. And if life exists today, it is no more bigger than microbes. Equilateral is an intellectual comedy set just before the turn of the century in Egypt. A British astronomer, Thayer, high on Darwin and other progressive scientists of the age, has come to believe that beings more highly evolved than us are alive on Mars (he has evidence) and that there will be a perfect moment in which we can signal to them that we are here too. He gets the support and funding for a massive project to build the Equilateral, a triangle with sides hundreds of miles long, in the desert of Egypt in time for that perfect window. But as work progresses, the Egyptian workers, less evolved than the British, are also less than cooperative, and a bout of malaria that seems to activate at the worst moments makes it all much more confusing and complex than Thayer ever imagined. We see Thayer also through the eyes of two women--a triangle of another sort--a romantic one that involves a secretary who looks after Thayer but doesn't suffer fools, and Binta, a house-servant he covets but can't communicate with--and through them we catch sight of the depth of self-delusion and the folly of the enterprise. 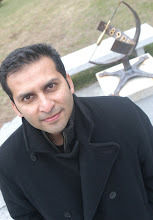 M A Ahmad: It is said that the past is always about the present. 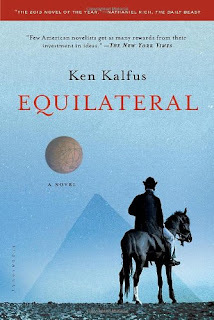 In what way doesEquilateral reflect questions pertinent to the present?Ken Kalfus: We live in a world largely shaped by 19th century colonial projects, especially in the Middle East and in Egypt, where Equilateral is set. Those projects were largely organized by men who didn’t know the depths of their ignorance of the people under their sway. In some cases this was not from lack of trying, but they couldn’t escape their starting assumptions and their frames of reference. We’re still mired in ignorance about foreign people – and these are creatures of the same species with whom we share the planet.Human beings persist in their misconceptions. By writing about a 19th century astronomer in Egypt, oblivious to misconceptions that are clear to the contemporary reader, I’ve tried to question our confidence in the 21st century frames of reference. Our misconceptions about alien life may not, of course, be our only mistakes. M A Ahmad: When people in the West talk about the impact of discovery of life beyond Earth, they usually restrict themselves to Western reaction and even within the West a particular segment of the society. Can you share insights on how different cultures, classes etc would react to such a discovery?One of the themes of Equilateral is the tendency for men and women to project their values on the unknown. We’ve come to expect that the discovery of extraterrestrial life will occur within the province of science and technology. These fields are dominated by Western thought and process, even if many of our most productive scientists come from the developing world.We could be mistaken, first, in thinking that scientists will make the first contact with intelligent life. People with UFO experience believe they’ve already been in touch. It’s conceivable that aliens would reach out to religious figures. In fact both the Old Testament and the Quran, as I note in Equilateral,contain passages that have been interpreted to suggest this communication has already happened. Or perhaps extraterrestrials will announce themselves by email. Science fiction has played with many such scenarios. Check your spam folder now!If we do make contact with intelligent extraterrestrial life, the responses of individuals and their societies will reflect their fears of the Other and their need for his or her or its companionship. Before that day comes, alien contact will be a rich source of novelistic speculation. Bible is their “book of strange new things.” But Peter is rattled when Bea’s letters from home become increasingly desperate: typhoons and earthquakes are devastating whole countries, and governments are crumbling. Bea’s faith, once the guiding light of their lives, begins to falter.